This structured approach is tried and trusted by many sport coaches and health organisations including the NHS and has proven to work. So don’t be daunted by thoughts of not being good/fast/fit enough the Wrekin Road Runners Coaches, Leaders, previous Wrekin Road Runners C25K participants and all of our WWR club members are all here to support and encourage you all the way through. 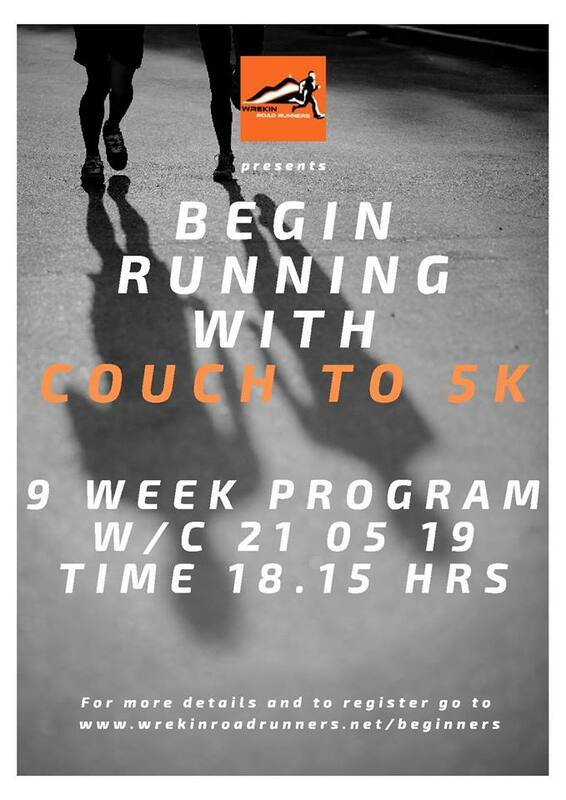 ​The entire programme costs £10 and if you graduate and wish to continue as a fully fledged member of Wrekin Road Runners (which we hope you will!) this goes towards your membership fee. Make sure you have a suitable pair of trainers to run in. You can buy all kinds of different trainers but the main thing is that you are comfortable in them. If you enjoy running and do it regularly you will want to buy some specialist running trainers. You can get these in local sports shops like Seatons, DW and Up and Running in Shrewsbury. They will allow you to try the trainers on a treadmill and help you get the right ones for you. For clothing we recommend you wear layers so if you get too hot you can take a layer off. Beginners runs once a year, usually commencing in May.